Find below the list of top schools in Dalanwala - Dehradun with phone number, address, 360° School tours, 2018-19 Admission forms & Fees, photos, facilities & more. 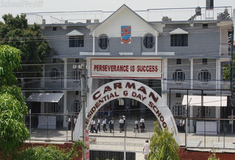 Carman School, affiliated to the Council for Indian School Certificate Examinations, offers studies till XIIth standard, in all streams. Started in 1961, the school has served lakhs of students achieve their dreams of quality education. With 50 years of existence, the school has seen momentous growth. Begun in a small campus, it has grown to three school wings, and has large play grounds of its own. Over its five decades of running, the school has produced meritorious students excelling in different areas of society. 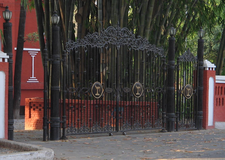 Doon Blossoms School is located in Dalanwala, Dehradun. follows the ICSE board. The school has English medium. 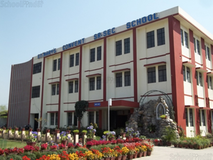 Doon International School Educational Society is located in Dalanwala, Dehradun. It was established in 1993. This school follows the CBSE board. The school has English medium. Brightlands School is located in Dalanwala, Dehradun. It was established in 1958. This school follows the ICSE board. The school has English medium. 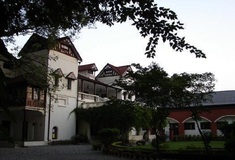 The Indian Cambridge School is located in Dalanwala, Dehradun. It was established in 1990. This school follows the ICSE board. The school has English medium. Shri Guru Ram Rai Public School Race Course is located in Race Course Road, Dehradun. It was established in 1998. This school follows the CBSE board. The school has English medium. Choosing the right school for a child is a daunting task. Making the job easier for you is Sqoolz. In order for your child to get admission to the best schools in Dalanwala - Dehradun you need to study and analyze the list of top schools in Dalanwala - Dehradun. With our detailed list of schools in Dalanwala - Dehradun, you can get all the information you need.